Map of the Week is written by David A., a systems librarian and map geek living in Mt. Pleasant. 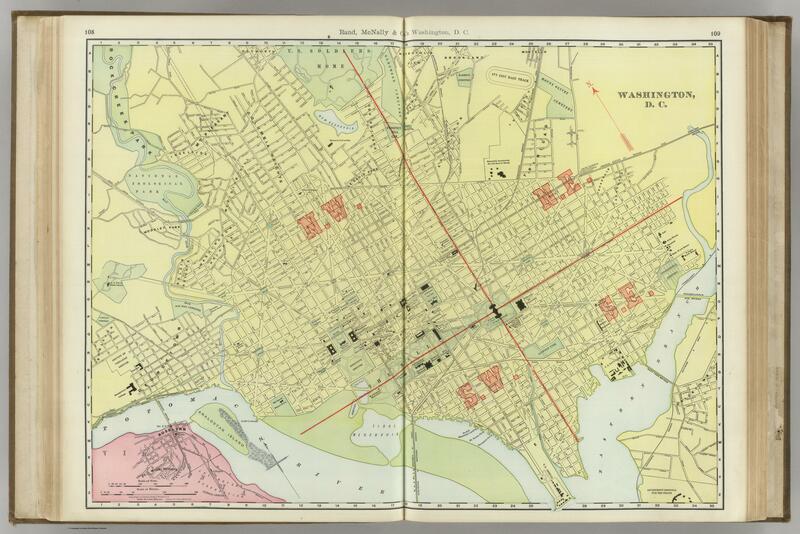 David previously wrote about the 1890 Real estate map of the B&O Railroad Company between DC and Rockville. This week’s map comes from a 1903 Rand McNally atlas. By 1903, the city begins to look very familiar, though many of today’s roads do not yet appear. 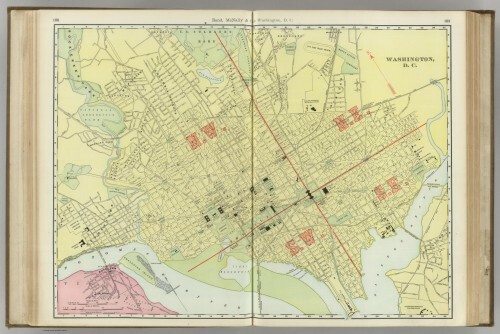 Rhode Island and New York Avenues stop far short of the DC border, though Rhode Island’s proposed extension appears. Notable points of interest include the Ivy City Race Track, Lover’s Lane and Analostan Island. The race track was part of the old National Fair Grounds, and it was one of many tracks built in DC in the 19th century. Lover’s Lane still bisects Dumbarton Oaks and Montrose Park north of Georgetown, and you can find it on Google Maps. Analostan Island would later be renamed for Theodore Roosevelt, the sitting president at the time of this map’s publication.